A great conversation, through the lens of a leader, is based on purpose. Emotion, heart and genuine connection play a vital part. And we absolutely should enjoy our conversations. But we respect and honor people more by being helpful, rather than what feels like hang time with a buddy. Enjoyment and meaning come from purpose. A common question is how to make the most of all the one to one meetings. I personally like to think of them as conversations rather than meetings. That creates a different picture for me. Enjoy the relationships you have with your volunteers, but use the time wisely. I know you are busy, and so are your volunteers, so having a game plan for a great conversation is just smart. Who initiates the conversation changes the tone, but it doesn’t change the important elements. If you initiate as the leader, the conversation has a certain feel. If the volunteer initiates, the conversation takes a different path. However, other than emergencies such as a marriage in crisis or a death in the family, etc. certain elements are helpful in nearly every conversation, regardless of who initiates. This list is not meant to be formulaic. It’s not intended to be mechanical. I’m offering a certain order, but it doesn’t always have to go that way. It’s a guide. For example, if you have a long-standing relationship, some of the elements can be covered in a minute or two. If it’s the first time you meet a new volunteer, you might barely get through a couple of elements on the list and need to talk again soon. There may be a coaching moment, and there might not be, etc. But overall, these elements will serve you well as a leader. You can’t over encourage anyone. The only factor required to ensure that encouragement is meaningful is that you are sincere. Take time to listen. If it’s the first time you meet, you may need to give a large amount of the conversation to hear their story. If you know the person well, you may only need a few minutes to catch up. This is usually the best place to start the conversation. Always thank the volunteer for their contribution to the team! It’s best to get to the point soon. It’s surprising how often the real matter of the conversation is left to the end, and the time runs out before you finish what you set out to accomplish. Whether it’s solving a problem, coaching for personal growth, or planning an event, the purpose of the conversation should be clear and known in advance. Since you know your purpose, jump in and use your time well. There is no need to create a rushed feel; it’s amazing how much you can accomplish in a relaxed way when you are focused. One of my favorite approaches is to write these two words on a napkin. Fruit and Joy. Fruit (results) without joy is drudgery. No one can last long like that. Joy without fruit may be fun, but you don’t accomplish anything. Ask the person how they are doing in each one. Whether the topic involves their job, or home life or ministry, both fruit and joy must exist for meaningful success to be realized over the long haul. This practice isn’t necessary every time you talk, but it’s a great coaching tool as needed. 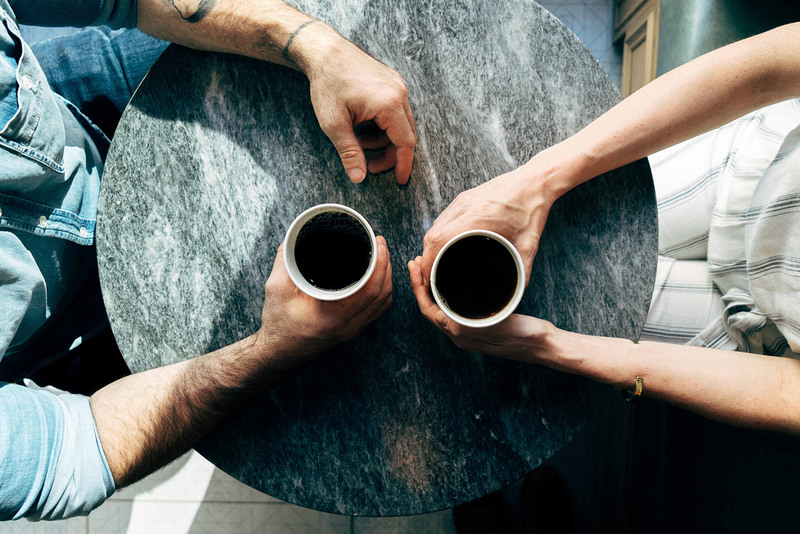 If the conversation is more church ministry oriented, always connect it to the bigger vision of the church overall. Don’t hesitate here. You might be tempted to think that the person “gets it” and knows the vision as well as you do. They might! But remember vision leaks, you can’t communicate it too much. Like “catching up” on a personal story, this doesn’t need to take long. It can literally be just a few minutes. You don’t need to have all the answers, but you can offer spiritual guidance that gives direction and encouragement. You may offer a scripture or just good counsel. You may just listen and offer to pray. Praying for them right then, or later if more appropriate, is one of the best gifts you can give. These elements will help you have great conversations!